People love to feel important. That’s not arrogance – it’s a basic human need. We all want to know that someone believes in us and that we have what it takes to be a success. Isn’t this true in your own life? As an employer, it’s vital that you understand the degree to which your employees need to feel needed. If this desire goes unmet, your organization will undoubtedly suffer. Low turnover rates, high levels of productivity, revenue that increases yearly, and consistent company growth are all strong indicators that you are meeting your workforce’s need to feel significant. However, if your organization is lacking in any of these areas, it’s time to start clearly communicating esteem for those you lead. There is no more powerful way to communicate value for people than by investing in them. In what ways do you currently invest in your employees (not reward them, but invest in them)? If you can’t think of several, it’s probable that your workforce, the lifeblood of your company, is not half as powerful as it could be were it properly cared for. Did you know that when you invest in a learning management system, you are simultaneously investing in your employees? Implementing an eLearning platform is one of the wisest decisions you as an employer will ever make. eLearning Fosters Training – John Laskaris, writer for the eLearning Industry, says, “Investing in your personnel through regular training not only fosters their technical and professional skills, but also motivates and involves them in the company’s mission and vision for the future.” While most organizational leaders are aware of the importance of training, many have no idea that eLearning is quickly becoming standard in the workplace. eLearning is popular because it makes training resources extremely accessible to people. For example, many learning management systems have mobile learning capabilities, allowing employees to access training materials on a tablet or smartphone. This reason, along with others, makes eLearning an employee’s preferred vehicle for training. 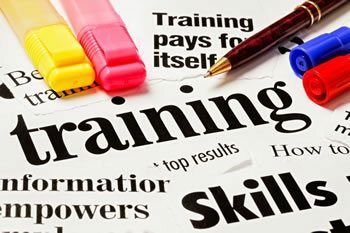 An LMS Makes Training Fun – Beyond being an excellent model for employee training, eLearning is just plain fun. If you are still conducting exclusively in-person training sessions, your workforce is probably not nearly as engaged as it should be. You will be doing your workers a huge favor by implementing an eLearning platform. Learning management systems transform company culture – Let’s face it: nobody wants to work at an organization that doesn’t have an awesome company culture. If your company’s culture is less than stellar, an LMS is the ticket to transformation. Learning management systems benefit employees and improve organizational culture by increasing motivation, strengthening confidence and creating corporate unity. Your employees deserve the type of workplace atmosphere that an eLearning system can create. The decision to invest in a learning management system is not a small one; that’s why you should consider an LMS like TOPYX. TOPYX will equip you with everything you need to make workplace training more engaging, company culture richer and employees happier. If your employees seem unsatisfied, or if you have trouble holding onto them, ask yourself if you think they feel valued. Better yet, ask them. If they don’t feel significant, change that by making an obvious investment in them via implementing an eLearning system. This is a quick way to honor your workforce by ensuring training that is fun and creating loyalty-inspiring company culture. Invest in your workforce with an LMS. Your employees will thank you.